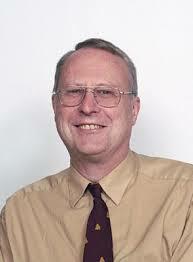 Professor James Hough is a British physicist and an international leader in the search for gravitational waves. A graduate of Glasgow University, he became Professor of Experimental Physics and is the Emeritus holder of the Kelvin Chair of Natural Philosophy. His work has been awarded many prestigious prizes and currently he is a member of the Scottish Science Advisory Council, the Council of the Institute of Physics in the UK and of the European Science Foundation. These positions enable him to help steer science and education policy in Scotland, the UK and Europe. We are most fortunate to welcome a world leader in his field and Jim promises to explain the complexity and excitement of outer space to a non-scientific audience! Doors open at 7pm and the lecture starts at 7:30pm prompt. If you would like to join us afterwards a one-course supper, followed by coffee, will be served at 9pm. Red or white wine will be available for purchase by the glass from Easterbrook Hall. Please note that supper must be pre-booked at least one week in advance of the event. No refunds will be made for cancellations made less than one week before the event.